Travel back in time with these two NY Times bestselling authors THIS Friday in Marietta. Meet New York Times bestselling authors, Lauren Willig and Deanna Raybourn at the Mountain View Regional Library in Marietta! Travel back in time with these two authors as they discuss their historical fiction novels. Lauren Willig is the RITA award winning creator of the Pink Carnation series and several other works of historical fiction, including The Ashford Affair , the collaborative novel, The Forgotten Room (with Karen White and Beatriz Williams), and her newest, The English Wife , which was released on January 9th. Deanna Raybourn is the RITA award winning author of the mysterious Lady Julia Grey and Veronica Speedwell series. Her newest Speedwell novel, A Treacherous Curse , was released January 18th. Come hear how these bestselling authors get their ideas, set their scenes and work their magic! Book Exchange will be selling books at the event at Mountain View Regional Library, 3320 Sandy Plains Road, Marietta. 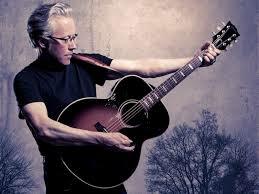 Legendary singer/songwriter Radney Foster found commercial success and critical acclaim due in large part to his literary approach to country music. Known for penning dozens of Top Forty, Top Twenty, Top Ten hits for both himself and Nashville's elite, he felt driven to tell stories longer than the three minutes allowed for radio. For You to See the Stars is a testament to his talent, showing the diversity of his voice, bringing lyrical prose to the page, and presenting Radney Foster to a whole new audience. The CD of the same title, also sold at Book Exchange, includes the ten songs that inspired these stories.